At Blue Water Photography your family portrait is treated as a very special event. We will have a pre-shoot planning meeting to discuss location, wardrobe and time. We will make decisions regarding colors and location based on where you plan to display the portrait. I request a snapshot of the wall you intend to use for the portraits display, if possible. I will show options that you can consider as we develop the plan for your portrait. 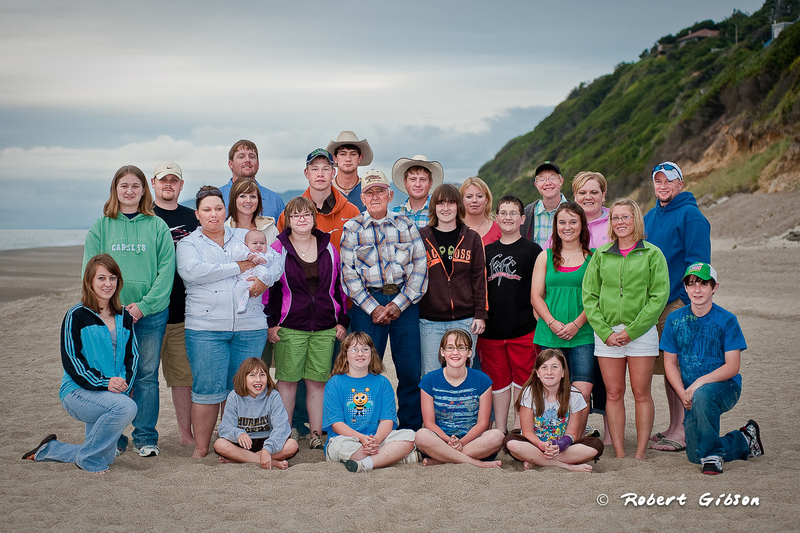 The Oregon Coast is a popular location for family reunions. 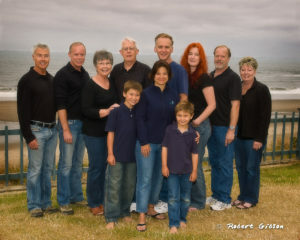 I photograph many families that are visiting from out of the area. We can have the pre-shoot consultation over the phone, or preferably over Skype. If you have or can acquire a Skype account for telecommunication your computer, it provides us with the capability of sharing my computer screen and looking at various locations and portrait options. It will almost be as if you are in my studio. I use the same system to assist you with your selection process.